Welcome to Day 1003 of our Wisdom-Trek, and thank you for joining me. Hello, my friend, I am Guthrie Chamberlain, your captain on our journey to increase wisdom and create a living legacy. Thank you for joining us today as we explore wisdom on our 2nd millennium of podcasts. This is Day 1003 of our trek, and it is time for our Philosophy Friday series. Each Friday we ponder some of the basic truths and mysteries of life and how they can impact us in creating our living legacy. 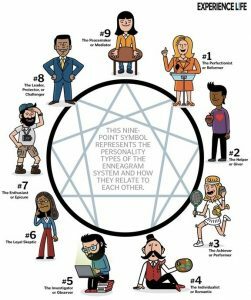 We have concluded our deep dive into the nine types which are “The Reformer,” “The Helper,” “The Achiever,” “The Individualist,” “The Investigator,” “The Loyalist,” “The Enthusiast,” “The Challenger,” and “The Peacemaker.” Last week, we began a series of episodes on Type Combinations, answering the question, “What are the potential relationship benefits and issues with each combination?” Covering all of the 45 different potential type combinations will take several weeks, but will be valuable in understanding each other, regardless of what type you are and what type those with whom you interact with each day are. 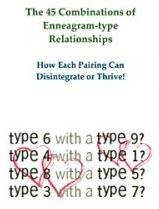 Enneagram Ones and Fours have an intense mutual interest to bring something good and beautiful into the world. Both are idealistic and concerned with getting it right in their work and self-expressions. Both see how things could be, such as how a project could become an expression of an ideal form, if all went well. By working together, something universal and transcendent could result in their work and in their relationship itself. Ones bring a desire for objectivity, truth, value, and reason to the relationship. They offer self-discipline, good work habits, and regularity to the relationship. 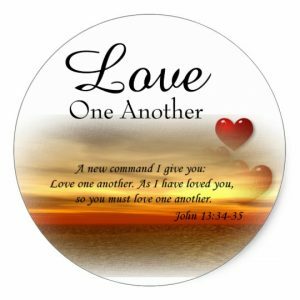 Ones are conscientious and will sublimate themselves, and their personal needs for the greater good, including the shared vision and goals that they feel are at the core of the relationship itself. Ones can act as valuable sounding boards for Fours, offering advice and wisdom when Fours get confused by the multitude of their feelings or their self-doubts. Fours bring creativity, intense feelings, sensuality, spontaneity, inspiration, and the ability to tap into dreams, the unconscious, and other universal forces. Their expressiveness and emotionality can be a welcome counterbalance to the One’s typical formality and sense of order and reason. Fours give Ones permission to explore and express the full range of the One’s feelings and passions. Ones help Fours actualize their dreams by supporting creativity with healthy self-discipline and appropriate structure. In general, Ones bring self-restraint to the relationship, which may act as a model for Fours, who tend to be more unregulated. 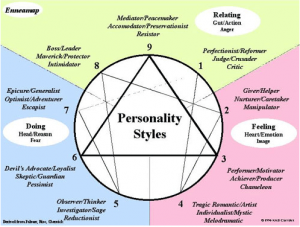 Both types have a taste for refinement, beauty, and a cultivation of the arts, and if both appreciate what the other offers, they can make a long-lasting, productive team that helps balance the limitations of the other while bringing out qualities that each lacks—one of the primary functions of all good relationships. A relationship between Ones and Fours can sometimes be like mixing oil and water: they tend to separate quickly because they see things from the opposite points of view. Ones think that they are almost always sensible and objective, while Fours do not try to be “objective”—they want to see things from the subjective, personal side. While both bring a kind of idealism to the relationship, it is usually idealism applied to different things. Ones will be idealistic about social causes, morality, politics, and global issues, while Fours are idealistic, even perfectionistic, about aspects of their personal lives—their lifestyle, their mate, and their choice of work. Both can reinforce each other’s sense of superiority, leading to elitism and snobbery toward others. Both can become disdainful and condescending toward those who have less breeding, taste, or sense of refinement—and the habit of being disappointed in others can be turned against each other as well. Both types are ironically highly aware of their impulses, their sensuality, their longings, and frustrations, but they both attempt to handle these issues in diametrically different ways. Thus, one of the biggest areas of conflict between Ones and Fours is in self-discipline versus self-indulgence, between personal and emotional impulses either being acted out (Fours) or being suppressed (Ones). Ones can begin to see Fours as hopelessly emotional, self-absorbed and self-indulgent, while Fours can begin to see Ones as insufferably rigid, judgmental, and cold. 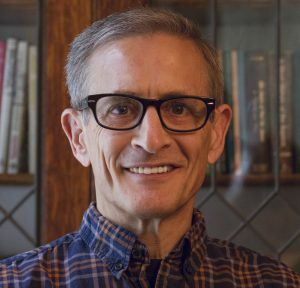 Fours can become as angry, critical, intolerant, and self-righteous as low-functioning Ones, and Ones can become as melancholy, self-pitying, alienated, and depressed as low-functioning Fours. In short, Ones and Fours may end up being disaffected with each other for being the way they are: they are not an imagined ideal. Both can be unforgiving, keeping scores and remembering long-past hurts. The relationship can deteriorate into bitter frustration with each other and end as the result of rancorous arguments. 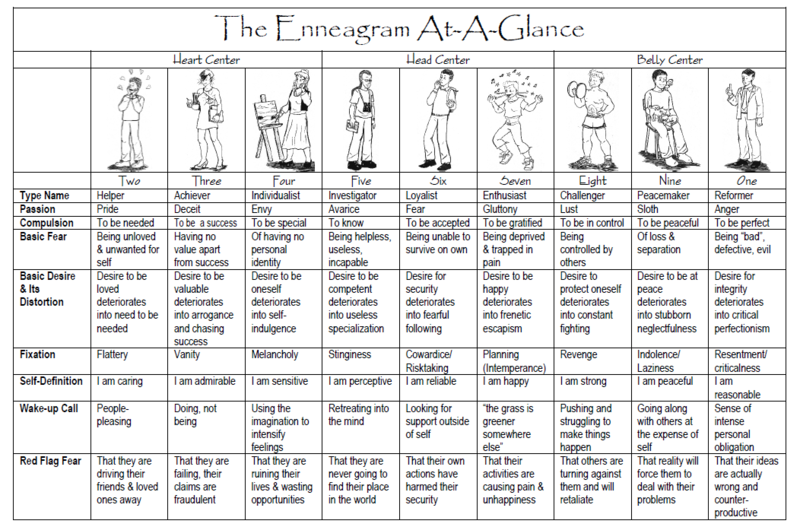 Enneagram Ones and Fives are alike in many ways, particularly in their reticence to show their emotions directly and in their identification with their minds. 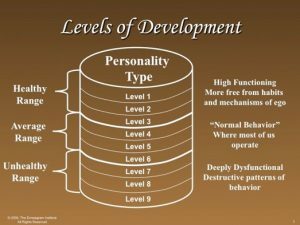 Both see themselves as fact-oriented, although Fives are more purely mental while Ones like their ideas and philosophies to have practical ramifications. Both bring to their relationship a desire to be objective; they both want to avoid falling into sentimentality, or to allow their feelings to cloud their mental clarity. Ones and Fives share a rich mental life of intellectual stimulation, curiosity, and a multiplicity of mutual interests—from the opera to sports to politics to economics to history, and so forth. Ones and Fives often enjoy each other’s company and intellectual stimulation, loving to debate and admiring the intelligence and expertise exhibited by the other. Unexpectedly, they tickle each other’s funny bone—this pair loves to laugh together at life’s absurdities. Child rearing, traveling, building a house, sharing hobbies, or doing other complex activities are mutually stimulating and bonding for them. They both are highly respectful of personal boundaries, rarely being the one to make the first move in anything regarding intimacy unless they have pretty strong signals from the other that they would be welcomed. Thus, Ones and Fives tend to bring a certain formality and courtesy to each other that can be charmingly courtly and old-fashioned. Ones add to this a concern with logic and order, with systematic thinking, attention to details, and the desire to improve the world around them. Fives bring curiosity, the willingness to be intellectually (and sexually) adventuresome, a taste for the bizarre and illogical, and the ability to relish disorder, chaos, and lack of apparent meaning. There is quiet, affectionate appreciation in this pairing. If romance develops, it develops slowly but deeply. As intellectual as both types tend to be, they are also opposites in important areas, and this can lead to conflicts and the eventual breakdown of their relationship. Most seriously, Ones tend to believe in the objectivity of certain truths and believe that once these are known, there is the possibility of arriving at objective certitude. Ones feel that their ideals and philosophy have given them contact with some form of ultimate truth, and therefore they are living from a viewpoint in which acquiring certainty is a moral imperative. Fives, on the other hand, feel that there is no such thing as objective truth, merely possible interpretations for what seems to be objective reality. They may come to some degree of consensus, but that does not necessarily mean that their consensus reflects anything completely objective. It just means that they choose to think the same way. Fives are thus skeptics and debunkers of certitude. They love to debate and deflate ironclad philosophies and self-righteously held positions wherever they find them. Thus, less healthy Ones can drift into various forms of fundamentalism, believing that they hold the key to truth, while Fives can become provocative nihilists, believing that there is no truth. In a relationship, both types find it very difficult to change their basic philosophies of life—and they both find it difficult to respect anyone who believes the opposite of them. Yet both can respect the other’s boundaries to a fault, not wanting to impose their own beliefs on the other. The relationship can thus become cool and distant, impersonal and analytic, tinged with resignation and cynicism. Ones can feel that Fives are too impractical and endlessly concerned with irrelevancies; Fives can feel that Ones are too serious and rigid and that they take their opinions far too seriously. Both can become too self-contained, evolving their lives in separate spheres-perhaps only getting together for occasional meals, to sleep, or to solve pressing problems. Coldness and isolation take over and may last for years, without either of them realizing it very clearly much less feeling that either of them can do very much about it. 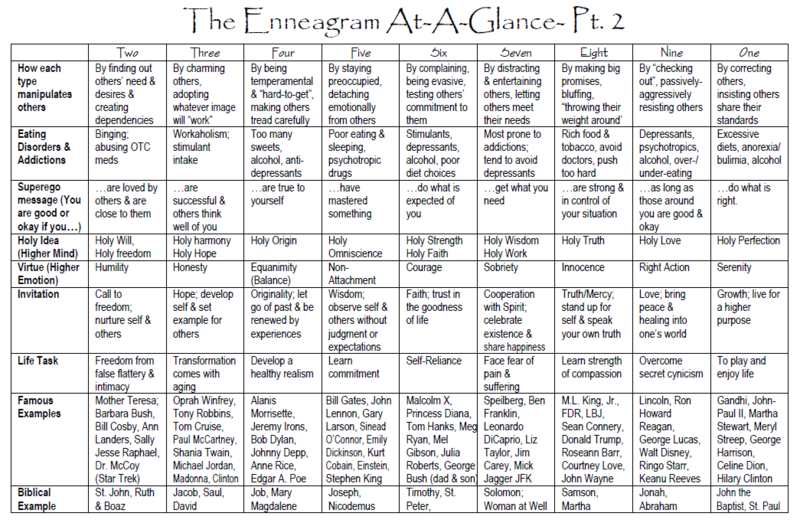 Enneagram Ones and Sixes are alike in many ways, and they are often misidentified with each other. Both types are extremely hard workers, conscientious, serious-minded, and have a strong sense of duty and honor. They both care deeply about truth and commitment, and both have a desire to serve others and improve the world. Both have a guiding sense of purpose, often lead by deeply held beliefs and ideals. Of course, they also bring other qualities that are especially their own. Ones bring a sense of reason and mental clarity, the ability to think clearly under pressure and to come to firm decisions quickly. They are more sure of themselves and their opinions than Sixes tend to be, so Ones often serve as the leader in a One-Six relationship, making the final decision and taking responsibility for it. Ones also bring a concern for order and consistency, for logic and elegance that is sometimes lacking in Sixes. They may also bring a distinct idealism that has little to do with personal loyalty or hero worship (as it may in a Six). On the other hand, Sixes bring warmth, more emotional responsiveness and availability, generosity, and playfulness that can be endearing and can make Ones think twice about their certitudes and positions. Sixes also have the ability to connect with people in a more direct and human way than Ones tend to do. These qualities are attractive to the other, and they can make this couple a dynamic and yet highly stable team, provided their fundamental beliefs are in alignment. They take responsibility in relationships, sharing burdens and chores equally. They also feel that they can count on the other: they are steadfast, loyal, and faithful to each other, wanting to build a solid foundation together. Because both can count on the other, this gives both room to relax—something they both need to do more often. As stress increases, Ones become more critical and judgmental of everyone including themselves and their partner. They tend to be a clear case of all work and no play, making them fairly joyless and difficult to be around even in the average Levels. Ones begin to feel that others are not trying hard enough, are not serious enough, or not mature and meticulous enough—or certainly not as much as Ones are themselves. This creates resentment and accusations and fairly constant bickering which can be extremely wearing on Sixes more than it is on Ones. As they become more stressed, Sixes become increasingly emotionally reactive, worrying and insecure, looking to their partner to be a bulwark of stability and fairness. What Sixes find instead are Ones who are critical, faultfinding, and rejecting—driving Sixes deeper into their feelings of anxiety and insecurity. This often makes Sixes begin to doubt the future of the relationship, feeling that it is likely doomed, which can often become a self-fulfilling prophecy. If tensions continue, Sixes will be increasingly defensive and evasive; they will also tend to work harder and to stay away from home more frequently so that they can avoid spending time with the One. Sixes will also find it difficult to talk directly about their feelings or fears, and so little gets adequately aired out. As Sixes become more inconsistent and unreliable, these reactions fuel the One’s resentment and disappointment in them. Stalwart Sixes begin to not show up or do even the minimum of what is expected of them, driving Ones into fits of frustration and apoplexy. Moreover, Ones find the anxieties and defensiveness of Sixes frustrating and they begin to be angry and condescending toward them. Ones will become increasingly cold and critical until Sixes lash out at them, blaming them for their predicament. Anger, resentment, accusations, and name-calling can be part of the picture as the relationship deteriorates. 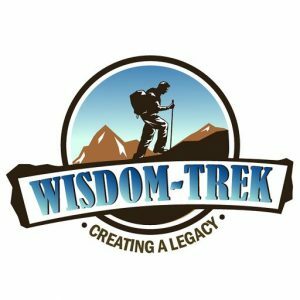 If you would like to listen to any of the past 1002 daily treks or read the associated journals, they are all available at Wisdom-Trek.com. I encourage you to subscribe to Apple Podcast or Google Play so that each day’s trek will be downloaded automatically.